A massive urban construction project in South Africa, financed by a Chinese company, has progressed slowly due to business uncertainties and amid concerns of Chinese "neo-colonialism" by a few locals, which have been rejected by others. Modderfontein, eastern Johannesburg looks peaceful in late spring in November. It is an oasis of natural beauty in the middle of urban South Africa. It is largely unoccupied, with only a few old houses now being used as offices by various companies. There is no construction work happening on the site right now, yet in 15 years' time at the earliest, Modderfontein will be transformed by a private Chinese company into a new urban hub, with offices, shopping centers, residential complexes, schools, hospitals, and various leisure facilities. In 2013, Shanghai Zendai, a Hong Kong-listed real estate company that develops and manages projects in dozens of cities across China, bought the 1,600-hectare plot, an area that is centrally located in Johannesburg in close proximity to both Africa's largest airport and the city's central business district. When Zendai unveiled the plan, it was reported that it would transform Modderfontein into the "African Manhattan," which drew enormous media attention from both within and without South Africa. South Africa is the second overseas destination for Zendai's investment, after New Zealand. The company's interest in South Africa comes from its belief in the market potential of the country. "As a developing country and the most developed country in Africa, South Africa has stable market demand. 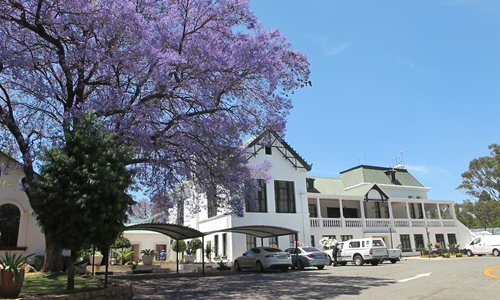 It has a large population and economic volume and can generate a huge impact on the whole continent," Du Wenhui, Chief Operating Officer of Zendai Development (South Africa) Pty Ltd., told the Global Times. Zendai's purchase of the vast tract of land represented one of China's largest single foreign direct investments in South Africa. The economic relationship between China and South Africa has been thriving in recent years. China has been South Africa's largest trading partner since 2010. During Chinese President Xi Jinping's state visit to South Africa at the end of last year, the two sides signed deals and loans valued at $6.5 billion. Bilateral relations have set favorable conditions for Chinese investment in South Africa, but when it comes to work on the ground, Chinese companies as ambitious as Zendai have a number of issues they must address. Its Modderfontein project, which was initially planned to be completed in 15 years' time, may need as long as 30 years. Some employees at companies that rent property in Modderfontein as their offices said they have heard about this project, as their rent is now going to Zendai's account now. But they say they've seen no signs of a new "city." There are also others who said they know nothing about it. "It could be possible though, given Chinese people's sense of business," a German engineer working for a Japanese company at the site said. Robert Avice du Buisson, a local doctor, told the Global Times that he is happy to see the area become a new economic hub; he hopes the Chinese investors will create employment. 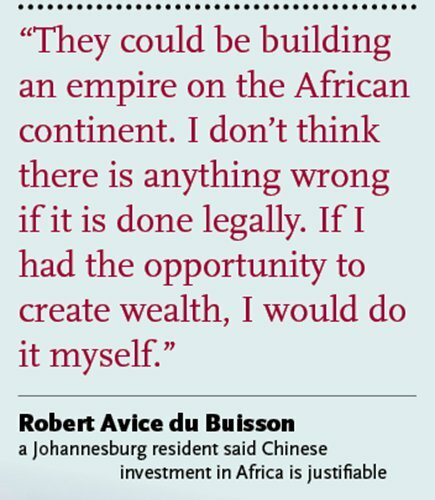 "They could be building an empire on the African continent. I don't think there is anything wrong if it is done legally. If I had the opportunity to create wealth, I would do it myself," Buisson said. However, not all South Africans welcome the mushrooming Chinese investment in their country. The slogans "African New York" and "African Manhattan," which sound enchanting to some, has scared others. "South Africa is very worried about neo-colonialism as a former colony. We treat with serious suspicion any country that we think might be coming in as kind of a neo-colonial power. China comes in to buy land and puts down a colonial outpost," said Philip de Wet, a journalist at the Mail & Guardian newspaper in South Africa who closely observes China affairs. China's economic activities in Africa have always been a controversial topic of discussion among political analysts. They call China's presence "a modern story of colonization" and describe China as the continent's new "colonial overlord." Kenny Chiu, a partner and head of the China practice group of ENSafrica, Africa's largest law firm which provides legal advice to hundreds of Chinese companies investing in South Africa including Zendai, rejects such claims. "Chinese troops did not come to South Africa. China did not force people to speak Chinese or impose its holidays on local communities. Why would it be called a colonialist?" Chiu said. Li Bo, key account director of Liugong Machinery South Africa (Pty) Ltd, a Guangxi-based Chinese State-owned company, said that there is a lack of understanding of China in South Africa's mainstream society, which makes it difficult for Chinese companies to operate here. "South Africa always follows the West. Historically, the West had a strong footprint here, which is still deep-rooted. For instance, the laws and regulations are Western, and employees have adapted to local working culture and procedures, which can be quite different from those of China. At times, this can be frustrating for Chinese investors as we'd like to do things quickly," Li told the Global Times. Another challenge comes at the state level. 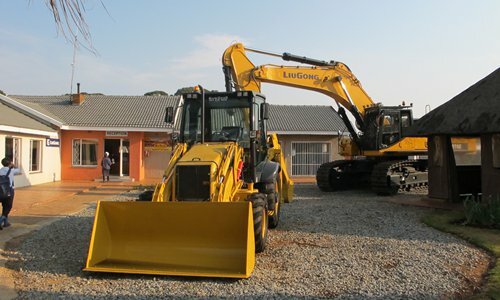 According to Du from Zendai, given the scale and complexity of the development in Modderfontein, the company requires strong support from the local government, especially in terms of the approval of various planning and technical applications. However, though the company has tried its best to push the process forward, the government is still acting very slowly with most applications, some of which may even take years. AFP reported in October that South African Finance Minister Pravin Gordhan was to be prosecuted for "alleged misconduct over a retirement package paid to a colleague in 2010." In August, the controversy surrounding Gordhan spooked investors and triggered a sharp sell-off of the rand. In late October, the charges against Gordhan were dropped, which was seen as a humiliation for Zuma. Such political tensions and their impact on markets have worried Chinese investors. "Compared with three years ago, the rand has fallen 30 percent. When profits cannot make up for the currency loss, we can only slow down our investments," Du told the Global Times. Chiu, with many years of experience providing advice for Chinese companies in South Africa, said that the bilateral relationship has maintained sound growth momentum, partly because both nations are BRICS members. Minister Jeff Radebe from the Department of Planning, Monitoring and Evaluation of South Africa said in a recent government release that the spirit of cooperation between China and South Africa expresses itself at multilateral and regional levels such as BRICS. Unlike other African countries such as Kenya and Tanzania which desperately need Chinese investment to satisfy their infrastructure requirements, South Africa is relatively advanced in this regard. Therefore, there are few such projects that Chinese companies can invest in nowadays. This has prompted the transformation of Chinese investment, a process which Chiu has observed. "In the past, Chinese companies were mainly engaged in mineral resources and infrastructure. There is now a major shift to consumer-related and consumer-facing industries, particularly financial services, technology, telecommunications and consumer goods. For instance, China's StarTimes, a digital television provider, has successfully made a major mark on Africa's digital TV landscape, including South Africa," Chiu said. This transformation is driven and shaped by complex domestic and international factors. One could be the somewhat saturated Chinese market and China's "going out" policy that encourages both State-owned and private companies to invest and operate abroad. Du is still confident about the future of the Modderfontein project, because of the steady and growing demand for real estate products, especially residential and light industrial properties, which are going to be generated by the growing economy and huge population of South Africa. Moreover, the South African market is relatively sound and conservative because the country's buyers do not like speculation and developers are cautious about supplying quality products to the market without flooding it, unlike in many places in China. Professor Godfrey Netswera, director of the South African BRICS Think Tank based in Johannesburg, welcomes the project, but has also expressed cautionary concerns. It is a good development, however, how the project will economically benefit South Africa is the biggest question that should be engaged with upfront to ensure that there are mutual benefits for the two countries involved, said Netswera. "Which company is going to be employed to build this project? Is it a company from China or a mix of companies from South Africa and China? Where will the developmental and investment funds come from? Who are the major shareholders and who will be employed there afterwards? Who will own these enterprises? These are questions that can positively define the bilateral relations between South Africa and China and at worst destroy the relationship," he said.